Tragically, a large portion of the Hortus Deliciarum was destroyed during the Prussian siege of August 1870. Here you can learn more about the Prussian siege of Strasbourg.This siege was part of the Franco-Prussian War. 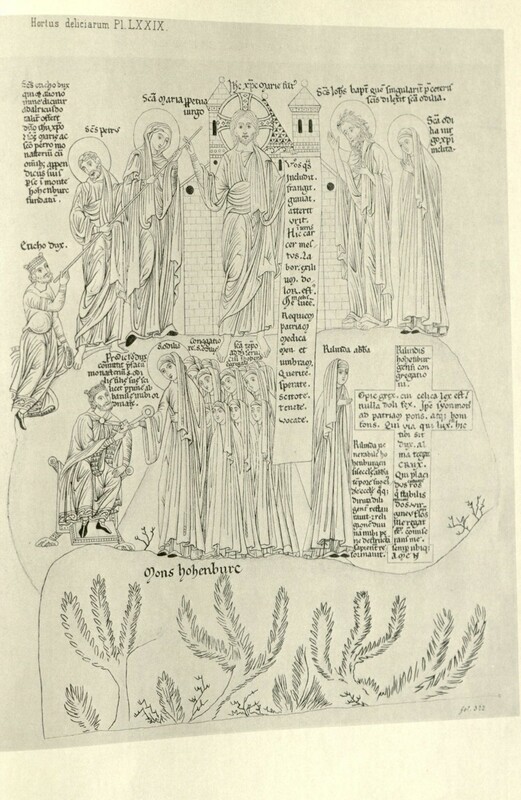 Despite the major loss of Herrad’s famous work, scholars who had studied the Hortus Deliciarum before its destruction in 1870 helped to preserve the work through their knowledge of it and the sections that survived the siege. 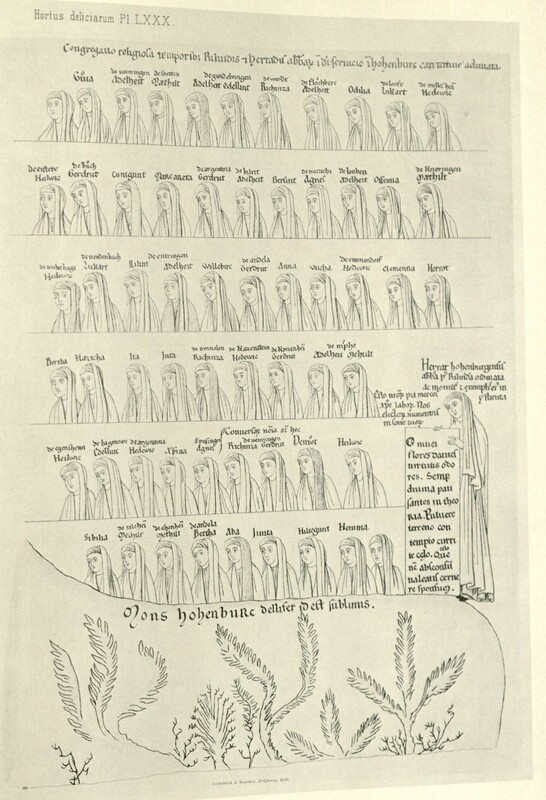 Their notes and tracings of some of the images that didn’t survive “form the basis for a reconstruction of the Hortus, published by the Warburg Institute in 1979;” the team of scholars that worked on this reconstruction was led by Rosalie Green. The reconstructed Hortus Deliciarum provides a way to see into the Hohenbourg Monastic community and its culture. In fact, Herrad of Landsberg was the Abbess of Hohenbourg. Here you can learn more about the Monastery of Hohenbourg before the time of Herrad of Landsberg. 9. Griffiths, Fiona. The Garden of Delights. 1. 11. Griffiths, Fiona. The Garden of Delights. 20. 12. Griffiths, Fiona. “Herrad of Hohenbourg and the Poetry of the Hortus deliciarum: Cantat tibi cantica.” 231. There are many aspects of Herrad of Landsberg and her work that make it unique in terms of feminism during the 12th century. During the time that Herrad was writing the Hortus, “women still required spiritual instruction and the consistent presence and pastoral care of a local priest. The provision of pastoral care, the cura monialium or care of nuns, was evidently the source of some concern at Hohenbourg: documents from the period reflect the women’s dissatisfaction with the chaplains who served their community,” The Hortus, written by the Abbess of Hohenbourg, for the women of Hohenbourg, was designed to meet the communities need for instruction and direction. It provided “its female audience with a wide-ranging theological education while at the same time equipping them with the ability to distinguish between ‘good’ and ‘bad’ pastors. In its breadth and theological complexity, the Hortus could supplement, and perhaps even displace, the teaching of Hohenbourg’s male priests.” Not only that, but “by incorporating texts written for priests and students of theology into a work designed for women, Herrad claimed a body of knowledge from which scholars have argued that women, since they could not study within the university, were excluded.” Herrad showed them that women shouldn’t be excluded from education. The works, however, did have many similarities in that they were both a response to women’s desire for a spiritual life and both combined different arts such as word, poetry, image, and song. One difference was that the author of the Speculum avoided discussing theological issues that could distract a female audience and contemporary works were not found in it; the Hortus, on the other hand, was filled with difficult theological issues and was written to teach a female audience and not only to make sure they stay virgins. Herrad truly cared about the women of Hohenbourg who her work was written for; this shows in the writings because she is seen as a mother to to them that will lead them on the right path. Due to the large number of women that wanted to follow the religious path during the 11th and, especially, the 12th centuries, there was a reform movement. Some say that this reform movement segregated women and “excluded or opposed” them. Herrad was writing the Hortus during this period, and some of her writings show it. Much of her writings urge for reform or are radically different than the views not long before. The reform she urges for isn’t always feminist; Herrad had an “interest in the broader concerns of church reform, notably the need for pastoral care and for adequate training of the pastorate, the concern with incipient materialism, the desire to embrace a life of apostolic poverty according to the example of the early church, and, most importantly, the effort to improve the moral standing of the clergy.” These concerns were not only concerns for women but for everyone. “The twelfth century is typically seen by historians as an era of declining female influence,” but Herrad and her work shows that there were still intelligent, artistic, and dedicated women out there willing to make a difference. 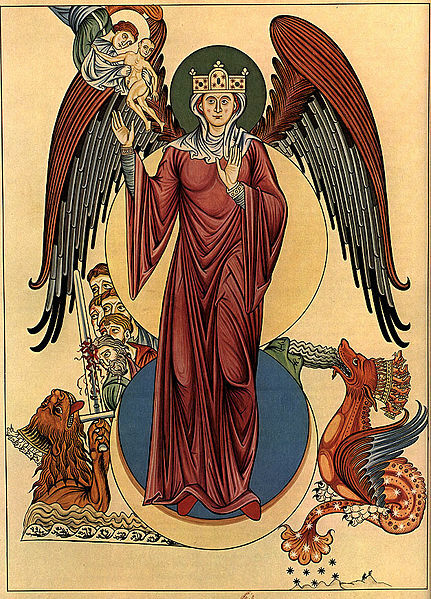 Hildegard of Bingen was also writing during the 12th century and adds to the feminist work that must not be forgotten during that time period because it tells us so much about the life of the religious woman. However, there is one thing that makes Herrad much different than Hildegard. 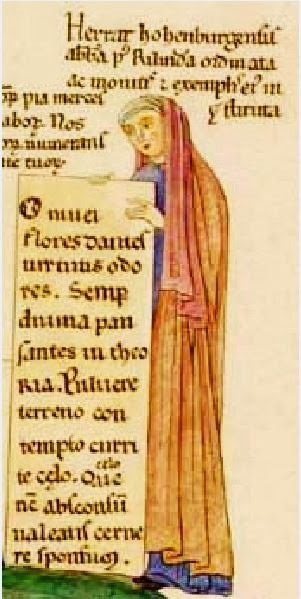 “While Hildegard depicted herself as a prophetess and sought a public, male audience for her visions, Herrad wrote only for the education and edification of the women of her own community.” Herrad was brave to admit to being educated instead of hiding behind the belief that she was a visionary or mystic. This certainly influenced women of the time, and could influence women of today, to see education as important no matter what you want to do with your life. Herrad was very educated; this is seen by the enormous amount of work that is compiled in the Hortus deliciarum. Herrad can certainly be seen as a model for women to get an education. 2. Griffiths, Fiona. The Garden of Delights: Reform and Renaissance for Women in the Twelfth Century. Philadelphia: University of Pennsylvania Press, 2007. Web. Texas State Ebrary. 3. 5. Diren, Palya. “Feminism.” From Science Penguin, 2013. 6. Griffiths, Fiona. The Garden of Delights. 5. 8. Griffiths, Fiona. The Garden of Delights. 11. Like much of the Hortus Deliciarum, much of the poetry came from other authors including “Hildebert of Lavardin, Walter of Chatillon, Aime of Monte-Cassino, and Peter the Painter.” In fact, there is only one poem that has survived that can be declared with certainty to be written by Herrad of Landsberg herself; however, others could certainly have been written by her as well, and it is certain that she chose all of the poetry that was contained in the Hortus for a reason regardless of whether she wrote it herself or not. There were a total of 67 poems in the Hortus. The poem that can be, for certain, declared as being written by Herrad is “the dedication poem Salve cohors virginum.” The English translation of this poem by Fioina Griffiths will be posted, in its entirety, after some explanation of it. This poem was followed by the prose prologue that is found on page one. Both the poem and the text that followed it have aspects of Herrad as being the mother and caregiver of the women in Hohenbourg. Herrad was the Abbess, but these texts seem to give a more meaningful message to her fellow women. “Herrad introduced several of the key themes of the Hortus deliciarum in Salva cohors virginum. She writes to encourage the women of Hohenbourg as they pass through the snares of the world, with, she prays, their eyes fixed on Christ.” She also warns of demons and temptations which she calls “terrible enemies.” The poem depicts the actuality that the Hortus “was designed first and foremost as a teaching tool.”  Herrad wanted to teach the members of her monastery about Christ, temptation, and knowledge without making them fear hell. She also directly addresses virginity. Lastly, she hopes that the book that follows it, the Hortus deliciarum will be useful to them. The poem was quite simple and contains 25 stanzas. Each stanza had four lines which each had seven syllables. The rhyme pattern is simple as well with each stanza being aaaa or aabb (before it was translated into English). The structure and content of this poem can help people guess at what other poems in the Hortus were also written by Herrad herself, but since there are no citations nor signature of any kind, guesses can only be made about all the poems except this one. Herrad, Your most devoted mother And faithful little handmaid Sing songs for you. She greets you and prays A thousand times each day That, with happy victory, You shall overcome those things that pass. O mirror of many, Scorn, scorn the world! Pile up virtues, Little troop of the true Bridegroom. Stand firm in the struggle To overthrow the terrible enemies The King of kings encourages you Since he longs for you. He himself strengthens your soul Against Zabulon After death, which is our victory, He will give you the glory of his kingdom. The delights of the celestial kingdom become you The riches of eternity are owed to you For you, the heavenly court Reserves many blessings. Christ prepares a wedding Wonderful in delights, May you await this prince By keeping yourself a virgin. For he hates the blemishes of sin And scorns the aged wrinkles of a guilty soul, His desire if for beautiful little maidens Ugly women he drives away. You who are living without deceit Be admonished by my praises That you may complete the excellent works Of your order. But lest you should waver with uncertain faith Amidst the streams of this world A truthful God pledges rewards After the dangers are past. Suffer bitterness now Despising the fortunes of the world Be now a partner in Christ’s cross, suffering hardship, And thereafter consort of the King. Navigate through this sea Pregnant with holiness Until you leave this mortal vessel And attain holy Syon. Syon of the celestial battlements With its beautiful courts May it be your station, your rest, When life’s course has been run. There in Syon, may the Virgin King, Christ, the Son of Mary, Return your love and, embracing you, Comfort you from the grief of this world. Then counting as little All the darts of the tempter the Devil You will be filled with delight In sweet jubilation of the song of the Lamb. Then may Mary, the sea’s shining star, The only virgin mother, Join you to her Son With a perpetual pledge of love. And may you never cease to pull me with you By your prayers To Christ, the most sweet Bridegroom The Son of the virgin. That I may be rescued from earthly dangers And be found in heaven Sharing in your victory In your great glory. Farewell chaste assembly My joy May you live without reproach in this life And always cherish Christ. May this book be useful And delightful to you May you never cease to study it In your thoughts and memory. Lest like an ostrich Forgetfulness should steal upon you And you should forsake the way Before you have reached Christ. The website that this image came from discusses the stations of the cross. These relate to the way that the Hortus is organized in a way. The stages of the cross are the different parts of the horrible torture that Jesus Christ went through before his Crucifixion. 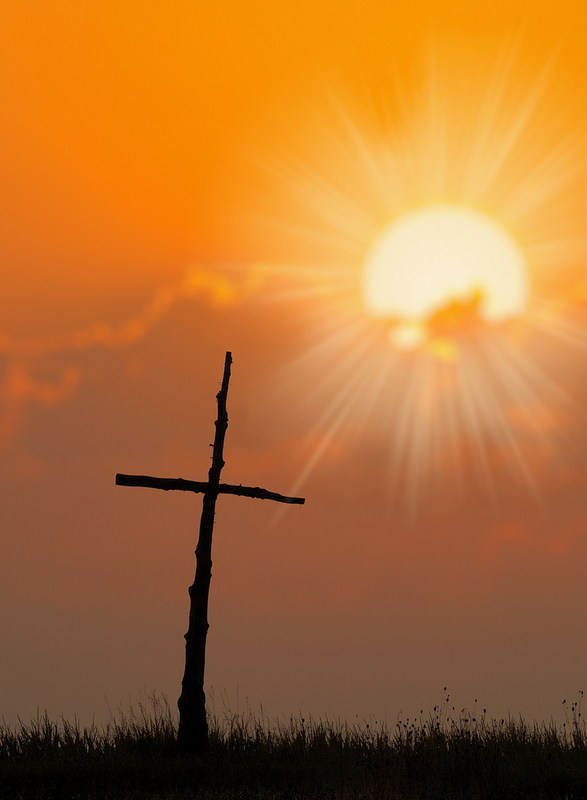 If you want to learn about the stages of the cross, click here. Now to move on to music. Although there was not a whole lot of music that suvived the Hortus, some did. The youtube video at the bottom of this page will let you listen to one of the songs from the Hortus. As you can see on the left side of the image, there are horizontal lines with marks on them; this is very similar to the staff that we still use in music today. If you want to hear a song from the Hortus Deliciarum, the music in this YouTube video is a song from Herrad’s masterpiece. 2. Griffiths, Fiona. “Herrad of Hohenbourg and the Poetry of the Hortus deliciarum: Cantat tibi cantica.” Women Writing Latin: From Roman Antiquity to Early Modern Europe Volume 2 Medieval Women Writing Latin. Ed. Laurie J. Churchill, Phyllis R. Brown, and Jane E. Jeffrey. New York: Routledge,2002. 231-263 Print. 231. 10. Herrad of Landsberg, Hortus Deliciarum. Ed. and Translated by Aristide D. Caratzvas; Commentary and Notes by A. Straub and G. Keller. New Rochelle, New York: Caratzas Brothers, 1977. Print. 245. Elizabeth Bailey, in “Succumbing to Gravity in the Hortus Deliciarum of Herrad of Hohenbourg,” says that Herrad’s masterpiece was “comprised of 255 unbound folios of images and texts.” This, however, was before the original copy was partly destroyed. Bailey says, “Luckily, over half of the illustrations…survived as nineteenth-century copies, making possible a reconstruction.” It is unknown who the artist was of all the amazing images, but Bailey thinks that it is likely that Herrad of Landsberg herself was the actual artist. Bailey says, “Herrad was the creative force behind the illustrations and very likely the actual artist. The copies of the compositions, originally illuminated with lines, colors, and gold leaf, still reflect a talented, brilliant, pious, and pragmatic leader. They reveal a learned educator-artist, knowledgeable of contemporary as well as ancient artistic traditions, both Eastern and Western. The paintings bespeak of an original, forward looking, energetic spirit, and of a woman well aware of the worlds around her, both inside and outside of the convent.” This makes sense because Herrad, in compiling and creating the Hortus, would be knowledgeable of all of the theological themes and stories that are reflected in the artwork; she would also, since she was studying both contemporary and traditional theologians, artists, and philosophers in order to create her masterpiece, be knowledgeable of different artistic traditions. Although this isn’t proof that she created the artwork herself, it shows that it is possible, and according to Bailey likely, that Herrad was a talented artist and used her art in the Hortus Deliciarum. 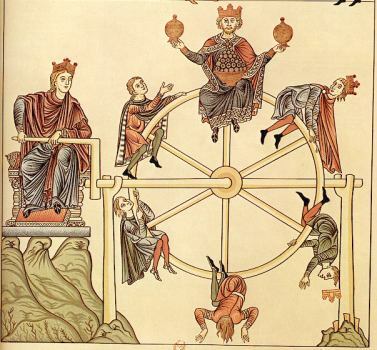 Basically the wheel is used as a symbol to show that fortune and riches do not always last; one day you may be rich, but you may soon lose the riches due to fortune. 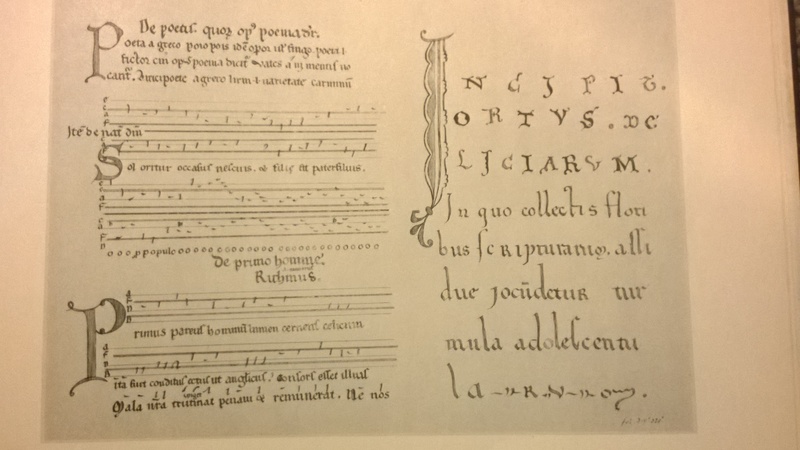 This is a valuable lesson for all to learn and Herrad, since she seems to have written the Hortus for her canonesses, obviously wanted them to learn this lesson. She may have thought it was her job as the Abbess of Hohenbourg to teach them lessons like this one. “Like the Wheel of Fortune, the Ladder of Virtues was widely illustrated in medieval art, and, as noted, Herrad of Hohenbourg’s Ladder of Virtues incorporates many of the usual features, such as devils, a dragon, an angel, and people climbing and falling from the ladder. However, while the mortals of other versions are often male monks, Herrad’s humans are religious and lay people of both genders [which ties into her fight for feminist rights and reform]. Also different from most illuminations, Herrad’s sinners fall not into the jaws of the awaiting monster but toward the worldly objects of their desires.” The ladder represents the acceptance and practice of virtues and religious aspects of ones life; as you go up the ladder you get closer to the Crown of Life. This basically represents the way to live virtuous; however, there are also demons and temptations, like worldly objects that one desires over virtue and religion, that try to make you fall down the ladder. 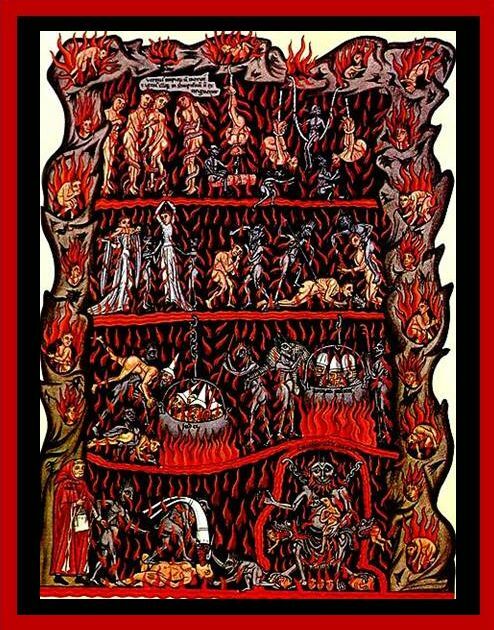 The temptations are represented by the demons that are shooting arrows at the people climbing the ladder, and the material goods, that are also tempting the people away from the top of the Ladder of Virtue, are represented by the images in the bottom right corner. Each of the people on the ladder represent different heights of virtue and show different things that keep them from reaching the top. “The inscriptions visible in some copies provide explanations as to the meanings of the motifs. 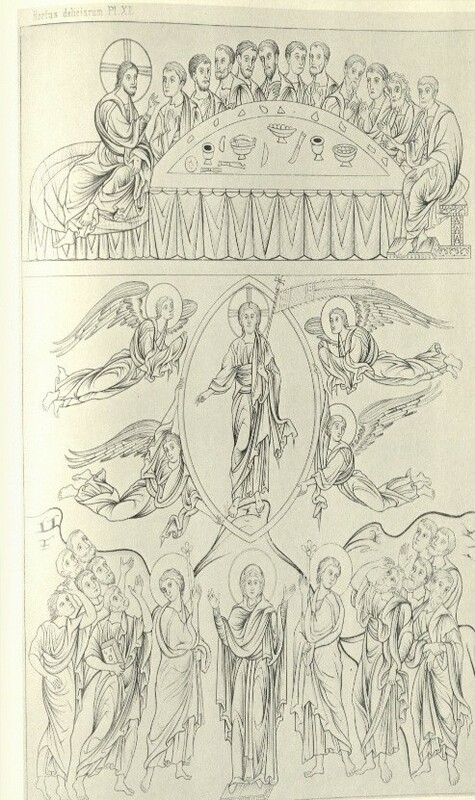 That at the upper right reads: ‘This ladder signifies the ascension of virtues and the religious exercises of sanctity, by which one seeks to attain the Crown of Eternal Life. Many attempt to climb this ladder, but then, wounded by devilish arrows, they stop, and, tempted and lured to the opposite way by earthly preoccupations and desires, fall miserably.’ Thus, Herrad again assumes her role as abbess-teacher, providing guidance for those who wish to rise to God in Heaven.” Yet Herrad does not want to discourage her canonesses from attempting to reach Heaven, or the Crown of Eternal Life. Herrad addresses this in some of the writing on the image. “The sight of these numerous falls could have discouraged those who desired to climb, if the prudent Abbess had not taken care to write on one the ladder’s steps a sentence filled with consolation: ‘All those who fall thus dangerously, the Lord, with the remedy of penitence, can make them remount to the summit of Virtues.” Again, this shows Herrad’s care for her canonesses, or anyone who would read the Hortus, and her willingness to teach them what she thought was right; Herrad surely wanted to teach her canonesses, through the Ladder of Virtues, the temptation that can lead you astray, yet she did not want to discourage them from attempting the journey to heaven. This shows her leadership, knowledge, and care for her canonesses and others. At the top is the Jesus Christ, holding a scroll with his left hand that says “‘Oh! you who are like prisoners on this sad earth, broken by toil, afflicted by exile, exhausted by grief and destroyed by the violence of passions, seek me, hope in me, learn to know me, to love me and to call upon me. In heaven, I will be your light, your repose, your true country, your healing and your refreshment.”  Some of the people in the the picture are Saint John-Baptist, the Virgin Mary, and Saint Peter. The past three links are very interesting, have tons of information, have videos, great pictures, and one of them has a little cartoon about the famous Christian figure. At the bottom of the image above, you can see the branches growing off of the mountain that the monastery was built on. Also, the man at the left side of the middle of the image is Duke Eticho, the founder of the monastery, and he is passing on the key to his daughter Saint Odile who was the first Abbess. These are only a few of the dozens of gorgeous, religiously themed images that are found in the Hortus. 2. Bailey, Elizabeth. “Succumbing to Gravity in the Hortus Deliciarum of Herrad of Hohenbourg.” Gravity in Art: Essays on Weight and Weightlessness in Painting, Sculpture and Photography. Ed. Mary D. Edwards and Elizabeth Bailey. Jefferson, North Carolina: McFarland and Company, 2012. 35-49 Print. 35. 7. Herrad of Landsberg, Hortus Deliciarum. Ed. and Translated by Aristide D. Caratzvas; Commentary and Notes by A. Straub and G. Keller. New Rochelle, New York: Caratzas Brothers, 1977. Print. 192. 9. Bailey, Elizabeth. “Succumbing to Gravity in the Hortus Deliciarum of Herrad of Hohenbourg.” 35. 12. Bailey, Elizabeth. “Succumbing to Gravity in the Hortus Deliciarum of Herrad of Hohenbourg.” 42. 14. Herrad of Landsberg, Hortus Deliciarum. Ed. and Translated by Aristide D. Caratzvas, 196.